The beach is protected from the northern winds. 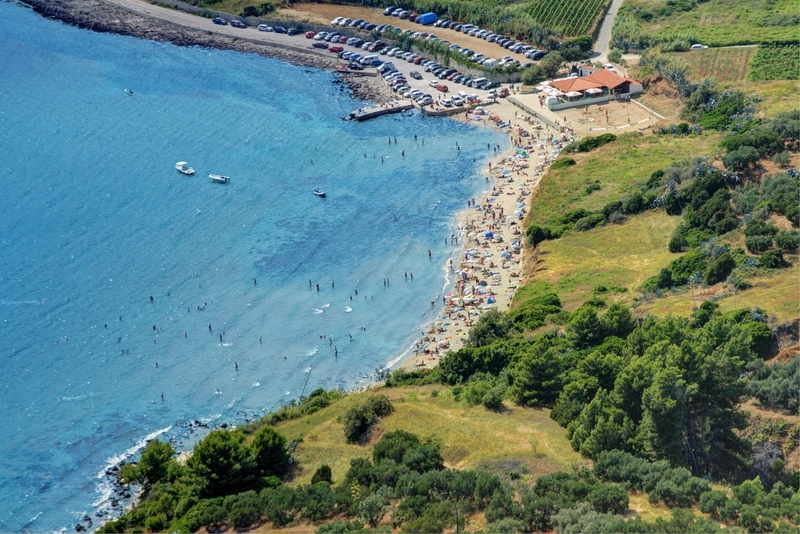 Przina beach is very popular and well visited beach during the summer months, so it is sometimes overcrowded and it is difficult to find a place on the beach. 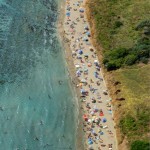 It is favorite beach for tourists and for the local people, who come here to have fun and hang out. 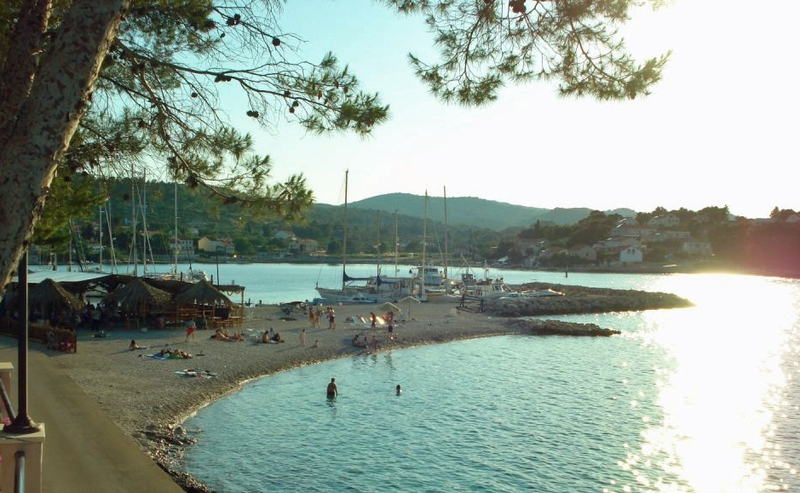 There is a bar on the beach in which are offered many refreshing drinks and fast food, and you can also rent parasols and deck chairs. 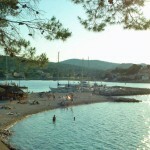 Sandy Przina beach is not only visited by Lumbarda tourists, tourists from whole island Korcula are visiting this beach. 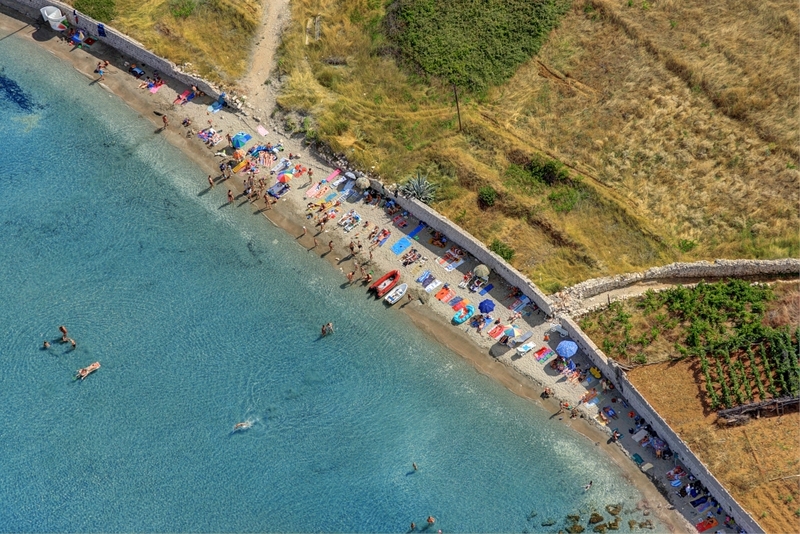 Przina used to be nudist beach, but today nudists are on rocky parts of the Przina bay. 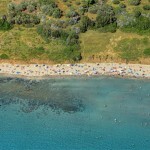 Nudists enjoy privacy and crystal clear sea with view to sandy beach full of people. So close to everything but in the same time so far away. On rocky parts of the bay you can even find some shade from the pine trees above, and sunsets from that part of the bay is great. 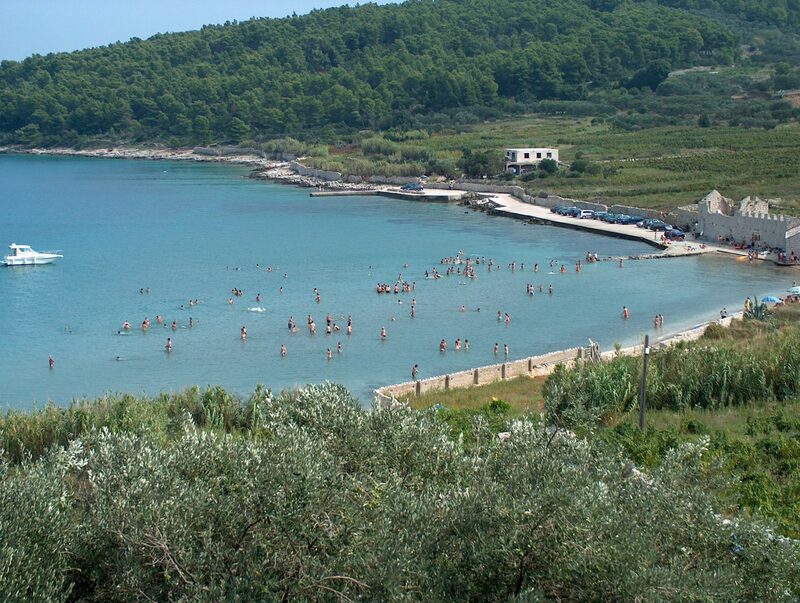 There is big parking place next to the beach so it is easy to get to Przina sandy beach by car. 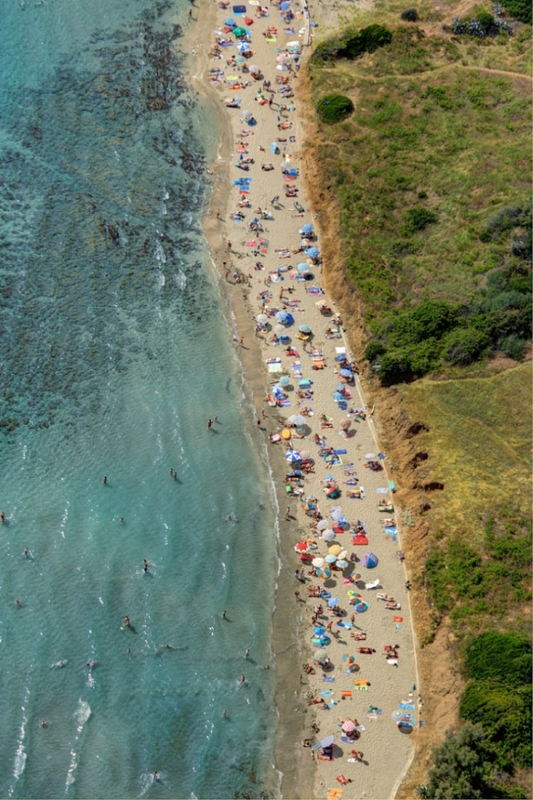 Another sandy beach in Lumbarda, Bilin zal. 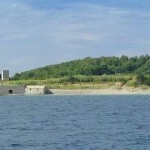 It is on opposite side of Przina beach. Bilin zal overlooking to the North-East, to Pelješac peninsula and islands of Korcula archipelago. Next to the beach is ancient building with nice restaurant inside. Along beach Bilin zal there is few meters high stone wall so there is shade on the beach in the afternoon. You can also rent parasols and sunbeds. 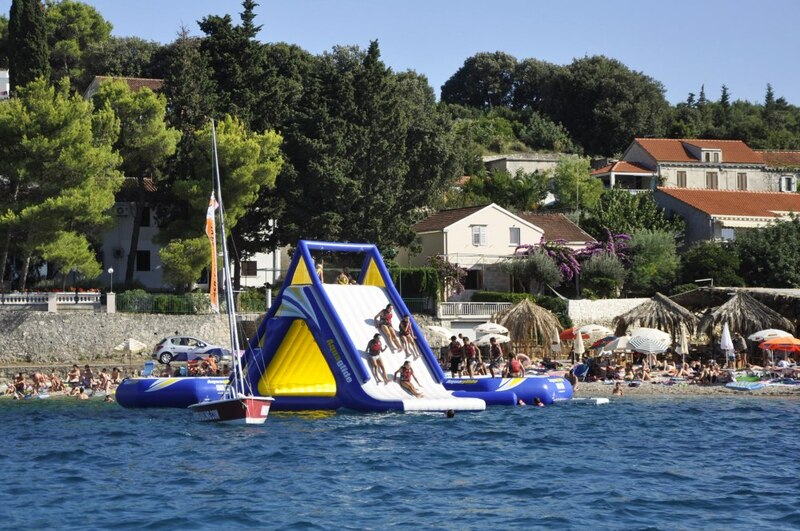 You can try some water sports starting from pier close to beach. 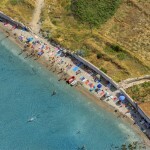 Big parking place is next to the Bilin zal beach, so beach is easy to reach. When you walk over rocks to the East you can find small pebble beaches, and nice flat stone areas. 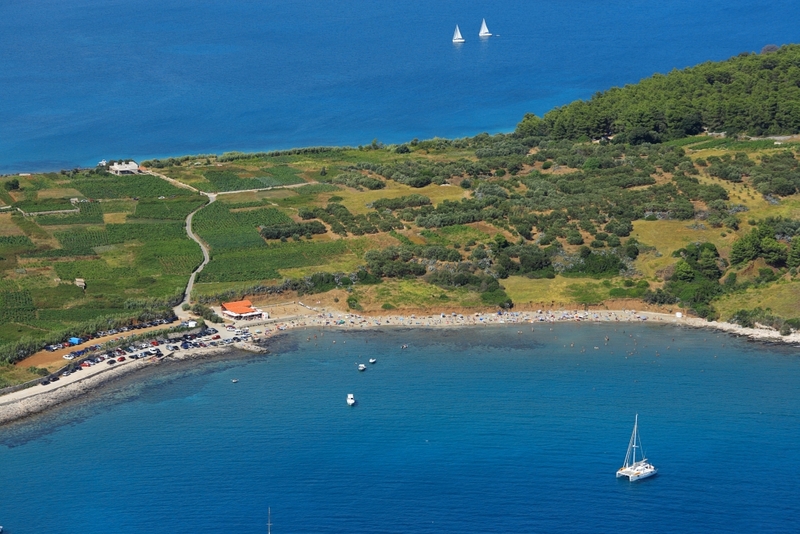 This part is called Lenga and it is paradise for nudists. 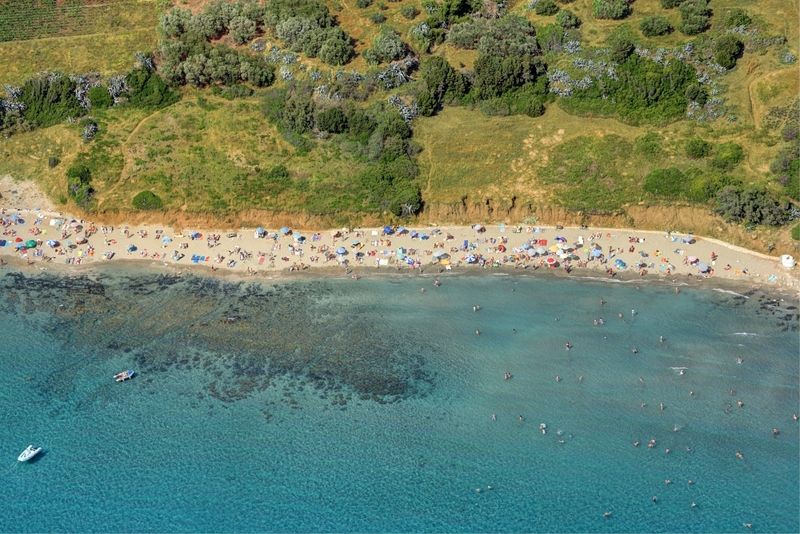 Only few minutes from Lumbarda center you will get to Tatinja beach. 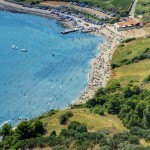 It is sandy beach, with view to the North, to island Vrnik, and Gubavac, and behind them mountain of Sveti Ilija with Orebić. Next to beach there is stone pier called Parapet, you can jump off it, or just watch local boys doing crazy jumps. 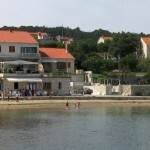 In center of Lumbarda, on north side of Marina there is pebble beach looking to Lumbarda islands and Pelješac peninsula. On the beach there is nice cocktail bar. 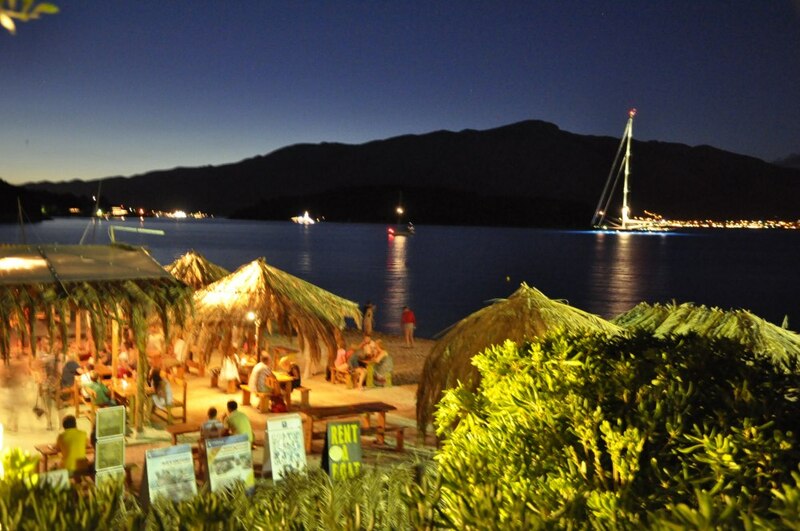 People can rent boats, jet skies, kayaks and go to windsurf school.